Satellite optical fibre cables. Global optical cables and optical splitters, Pre-made optical fibre cables. Optival fible connecting leads. Optical LNB. Triax optical LNB, Global Invacom optical LNB. Optical fibre LNB with power supply. 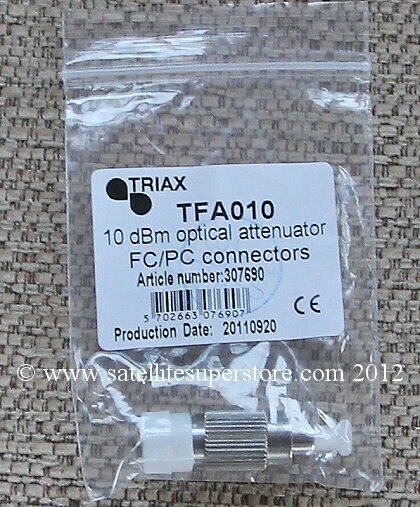 Triax optical LNB for optical to electrical interface. Optical fibre LNB and satellite dish. Big Discounts. Low prices. Best LNBs. Use between optical fibre LNBs, splitters if required and virtual converters. into a multiswitch and then as many outputs as are needed can then be provided by the correct multiswitch. 1m Global pre-made optical cable. 5m Global pre-made optical cable. 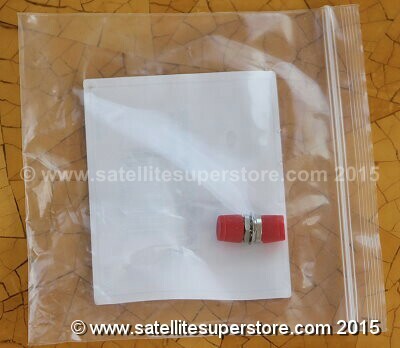 10m Global pre-made optical cable. 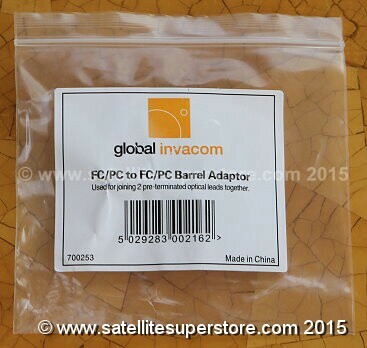 15m Global pre-made optical cable. 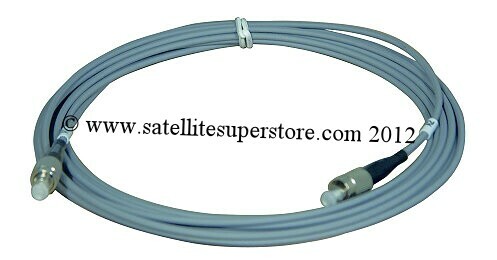 20m Global pre-made optical cable. 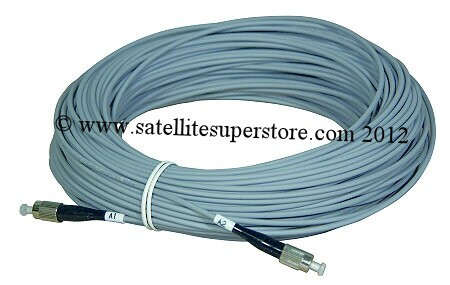 30m Global pre-made optical cable. 40m Global pre-made optical cable. 50m Global pre-made optical cable. 75m Global pre-made optical cable. 100m Global pre-made optical cable. 200m Global pre-made optical cable. One optical back to back fibre connector. Use for joining two optical fibre cables together. Ten optical back to back fibre connector. Use for joining optical fibre cables together. Use between optical fibre LNBs and virtual converters. balancing the system's gain and attenuation levels. When using a direct fibre cable from LNB to virtual converter without any splitters, use a 10dB attenuator. Use to split optical fibre cable. Global 2 way optical splitter. Global 3 way optical splitter. 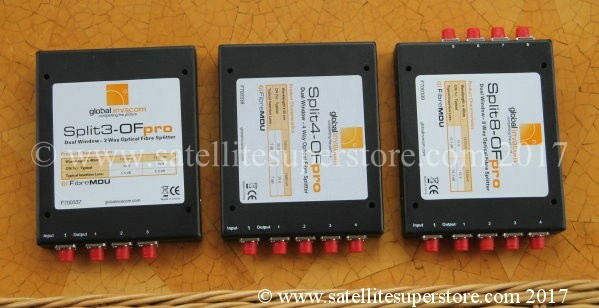 Global 4 way optical splitter. Global 8 way optical splitter. Global 16 way optical splitter. Global 32 way optical splitter.